Are you interested in the environment from a social science and policy perspective? Obtain a degree that provides exciting career opportunities, takes advantage of world-class UA expertise in the environmental social sciences, and prepares you to live and work as an environmentally informed professional and citizen. You will gain skills that enhance your own quality of life and prepare you for careers in the private sector, government, or education that focus on environmental quality. Participate in undergraduate research with UA professors! Many students also do summer research at National Science Foundation (NSF) Research Experience for Undergraduates sites. 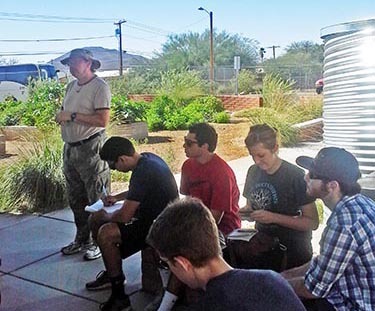 You can also earn environmental studies course credit at study abroad programs in Mexico, Cuba, and Guatemala. Distinguished faculty teach courses on water, land use, food, energy, the built environment, environmental history, gender and the environment, and climate-related issues in both urban and rural contexts.